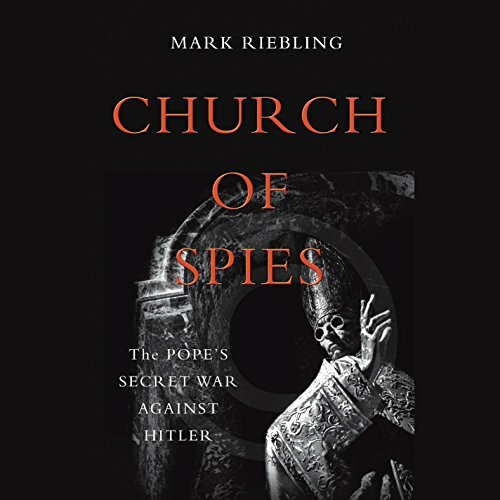 Showing results by author "Mark Riebling"
The Vatican's silence in the face of Nazi atrocities remains one of the great controversies of our time. History has accused wartime pontiff Pius the Twelfth of complicity in the Holocaust and dubbed him "Hitler's Pope". But a key part of the story has remained untold. Pius ran the world's largest church, smallest state, and oldest spy service. Saintly but secretive, he skimmed from church charities to pay covert couriers, and surreptitiously tape-recorded his meetings with top Nazis.